Lionel Toy Trains. Just hearing the name brings a smile to the faces of collectors, hobbyists and model train enthusiasts of all ages and from around the globe. For many of us, our first exposure to toy trains and model railroading was through the eyes of our childhood, staring in awe at the Lionel toy train display in the front window of the local department store. 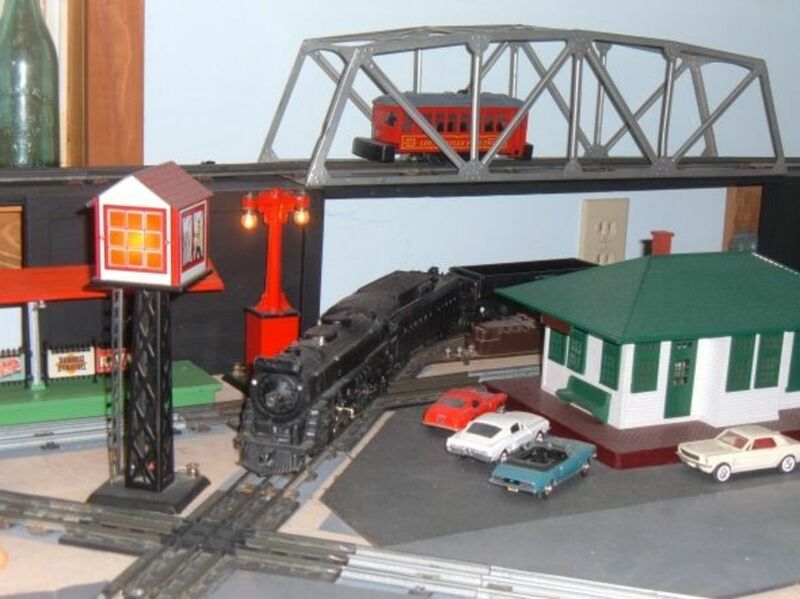 The big, shiny black O-gauge steam engines puffing smoke, the clicking sound of metal wheels as the colorful boxcars streaked along the steel three-rail track sections, and the flashes and movement from a myriad of trackside accessories fueled our dreams and filled our Christmas wish lists. Sadly, the big Lionel toy train displays are mostly gone, save for a few local Lionel retailers who still have the passion (and the space) to showcase these wonderful trains and to introduce the next generation of kids into the hobby of model railroading and collecting Lionel trains. But Lionel is still here, producing trains and accessories today that rival the production runs of the past. 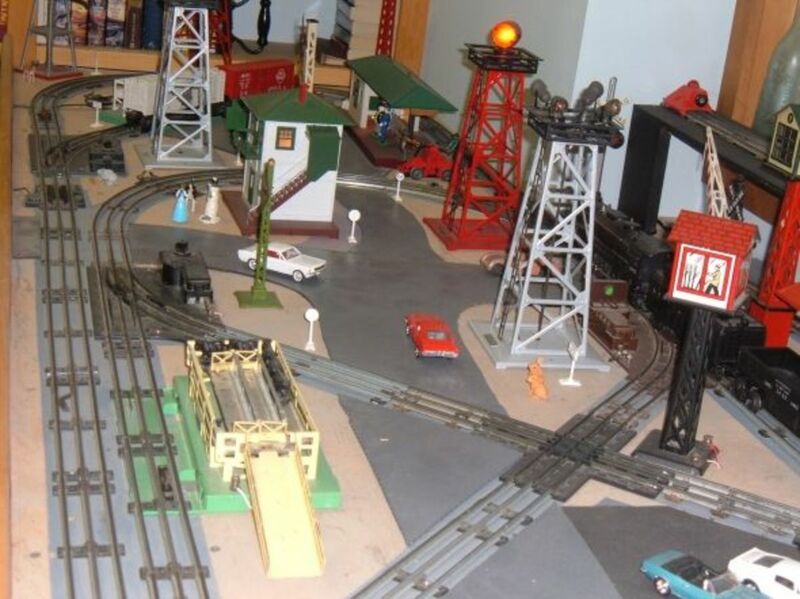 Collecting Lionel Trains is a hobby, a passion and an investment. Some collectors focus on certain manufacturing eras, looking for engines, cabooses, freight cars passenger cars and accessories produced during certain periods of Lionel's rich and financially tumultuous history. Others amass large quantities of toy trains to fill their collection, searching for the many different versions of engines, cabooses, freight cars, passenger cars and accessories that Lionel produced. Some specialist collectors seek out the rare variations in the Lionel manufacturing process, the oddities and mistakes that bring the highest market prices. Getting started in the hobby is easy. There are several quality guides on Lionel with detailed descriptions of the many different types of engines and cars that Lionel designed and produced over the years. Renowned for their ingenious designs and quality craftsmanship, Lionel created numerous methods for adding motion, action and lighting to their trains and accessories. Moving milkman and flashing crossing gates are synonymous with Lionel. Coal loaders filled hoppers that dumped their loads at the press of a button. Improbable boxcars outfitted as aquariums, rocket launchers and even a ducking giraffe add fun and interest as the train hurries down the track. A good Lionel toy train guide will help you to decide the era and types of Lionel toy trains that appeal to you the most. Do you like big, modern diesels or old-time steam engines? 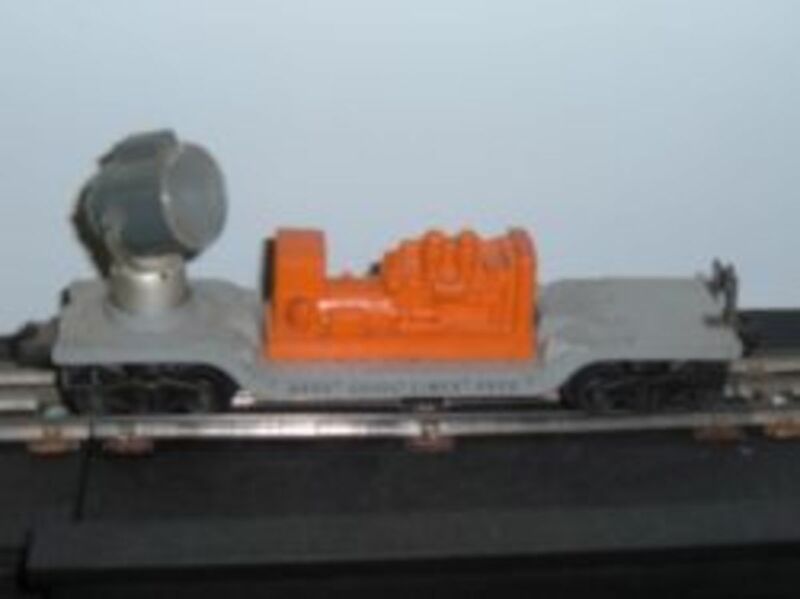 Maybe a small switcher or an early diesel? What type of freight or passenger cars catch your attention? 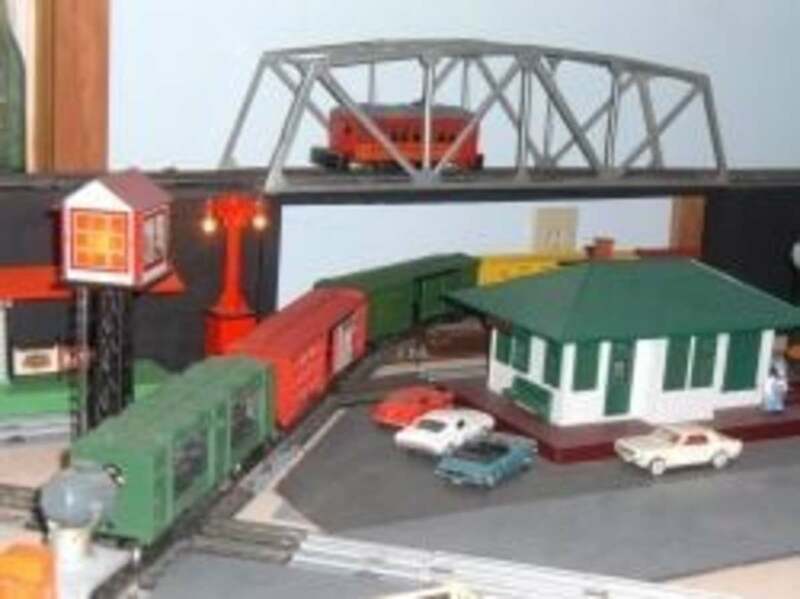 Many Lionel enthusiasts collect toy trains exclusively from the Post-War era. 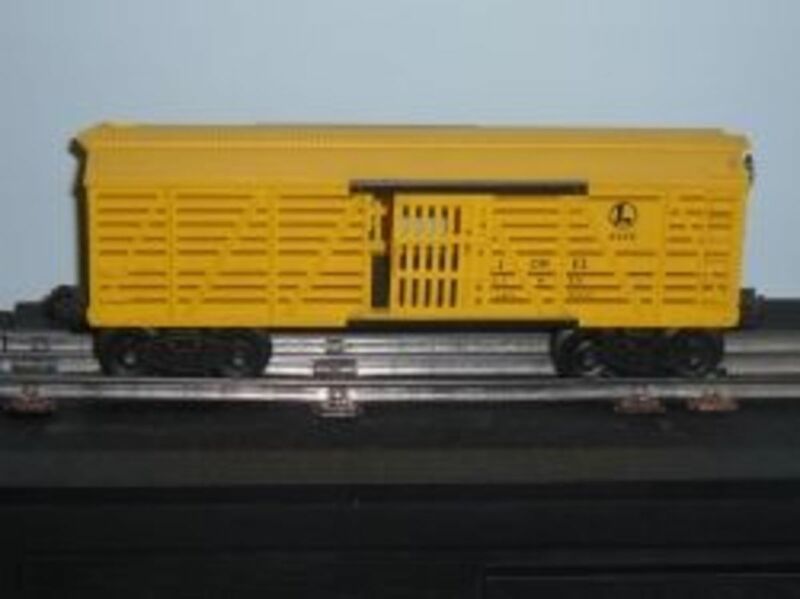 Others prefer the clean lines and smooth performance of today's Lionel trains. Some just collect and run whatever appeals to them, mixing and matching the old classics with the best of the modern era. Along with detailed descriptions and photos, a good Lionel guide will offer a price range and provide insight to rarity for each of the items. 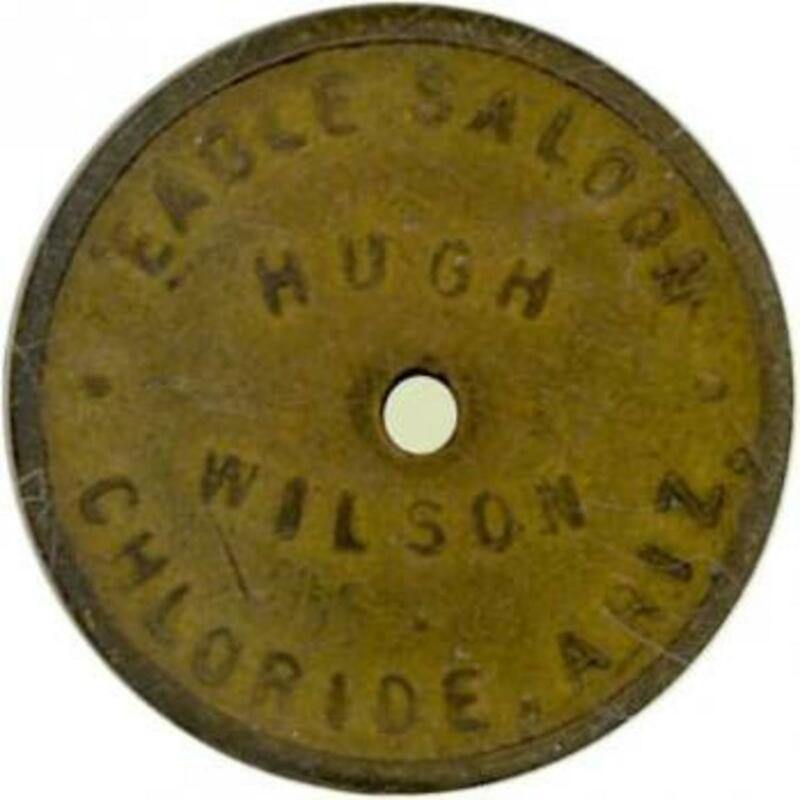 Condition is always important, with nicely preserved engines and cars commanding significantly higher prices than dirty, broken and neglected samples. 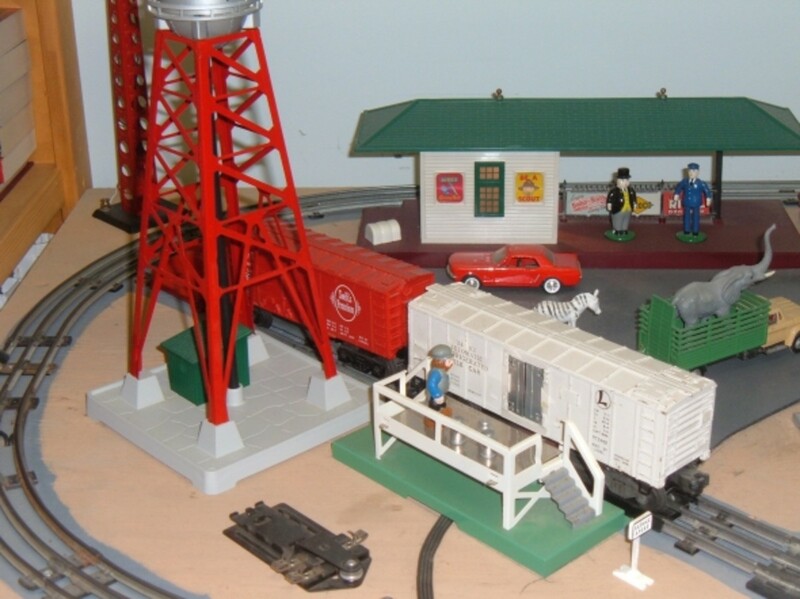 The rarity of the item is also a strong factor in establishing the value of Lionel trains. The less of a variation produced, the higher the value.Use the guide to make a list of the engines and other cars that you would like to find.For the casual and beginning collector, an engine, a couple of different boxcars, an interesting specialty car such a searchlight on a flatbed, a coal hopper and a caboose is good start. 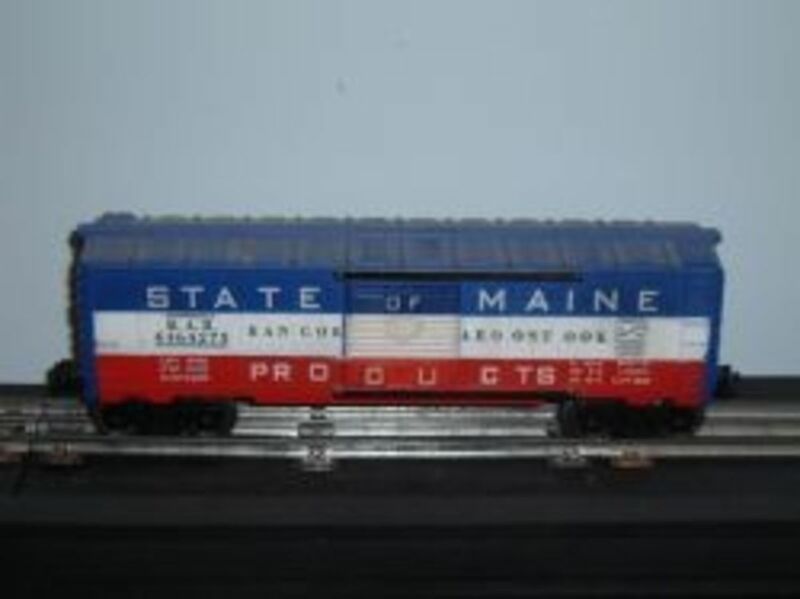 If you are interested in the older Lionel toy trains, the search is a little more challenging. Online auctions such as Ebay connect dealers and individual sellers with buyers from around the world. 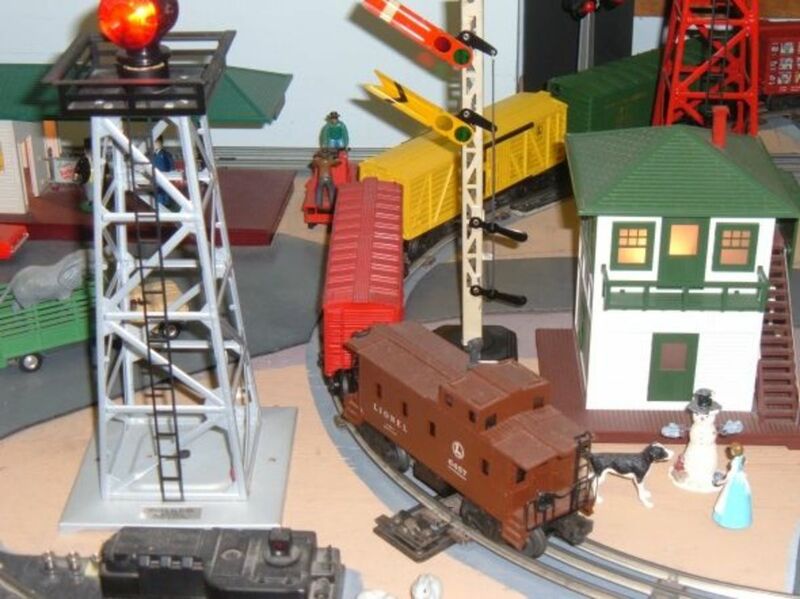 Online hobby store and toy train specialty retailers compete for toy train collectors, and often offer merchandise warranties or return policies that might not be available through an online auction. 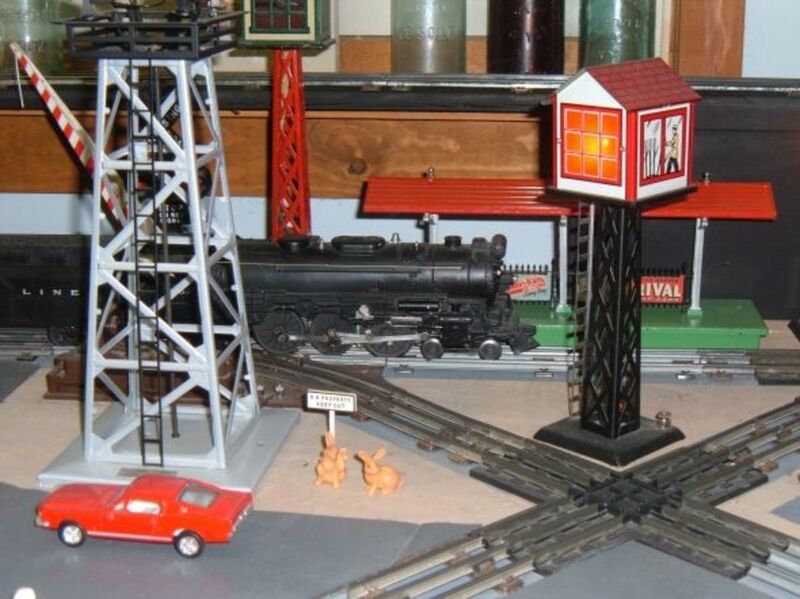 Garage Sales, Tag Sales and Estate Sales are also good sources for finding collectible Lionel trains and accessories. 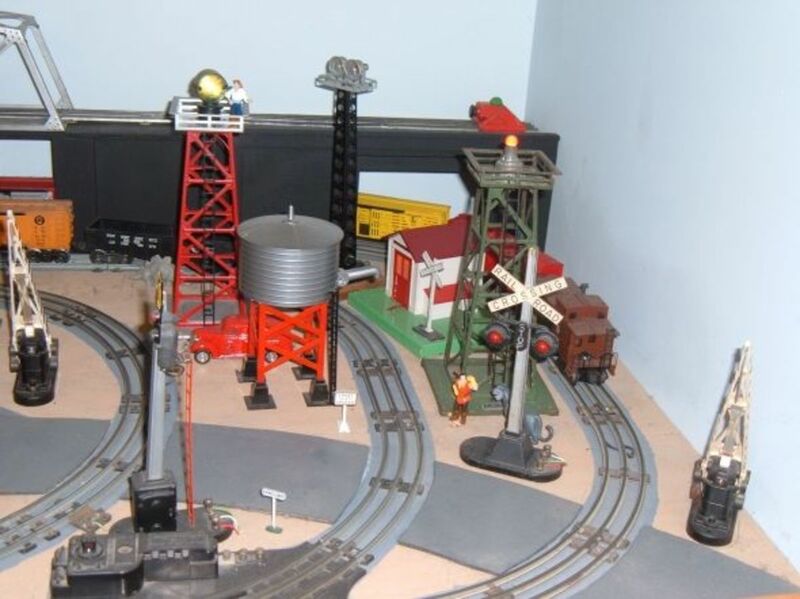 While you may need to cover a lot of ground and sort through a lot of old boxes, a lucky sharp-eyed shopper might just find a treasure of long forgotten Lionel trains and other collectible toys among the boxes of house wares and stuffed animals. 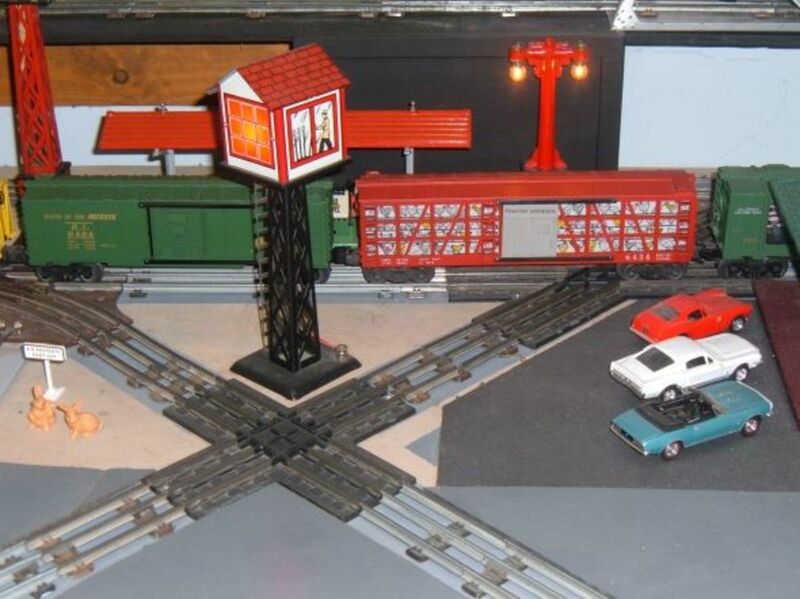 Do You Collect Model Trains? With so many different Lionel train engines, boxcars, passenger cars and accessories available, it is easy to get overwhelmed - and to overspend. 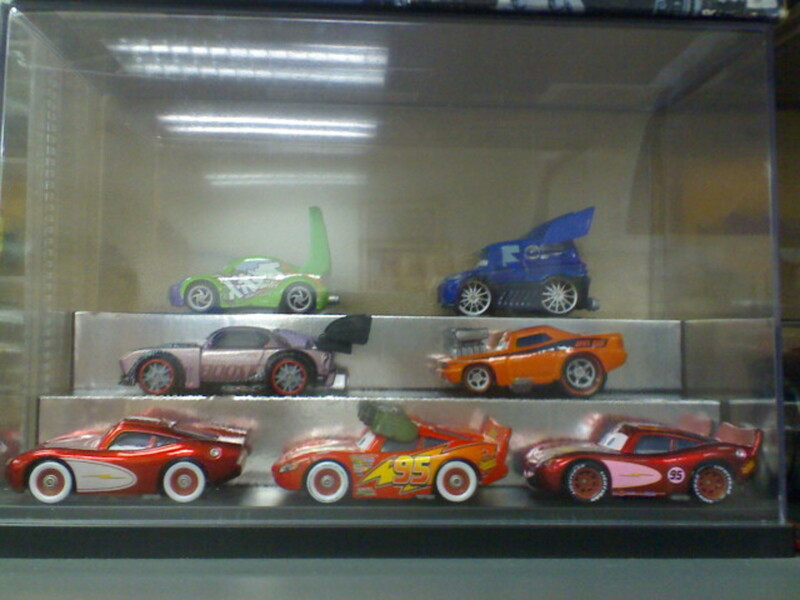 Collecting Lionel trains is a journey to enjoy and savor as you search for the engines and cars that appeal to you. Take your time, do your research, decide how much you can spend each month or each year, and use your wish list to set reasonable and affordable goals. 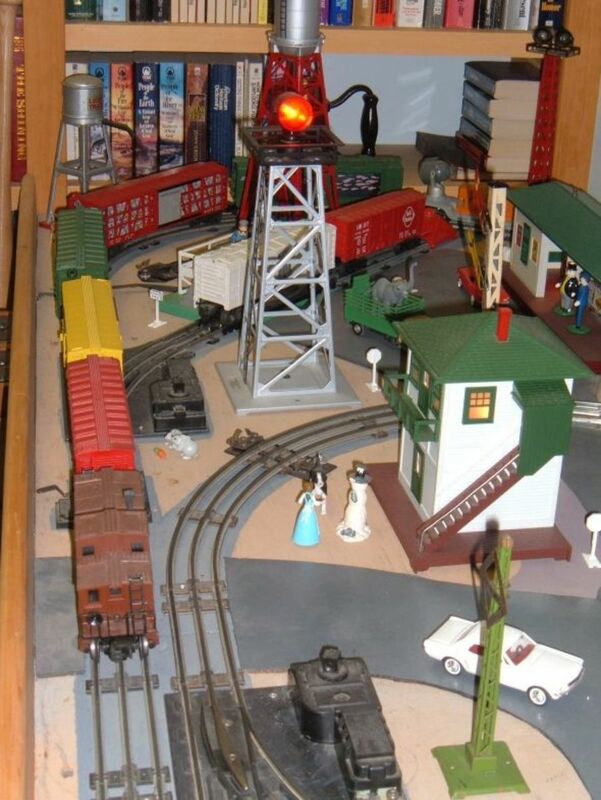 Then, enjoy the thrill of the chase as you track down the Lionel toy trains on your list. For many beginning hobbyists, a new Lionel Starter Train set is a good choice. 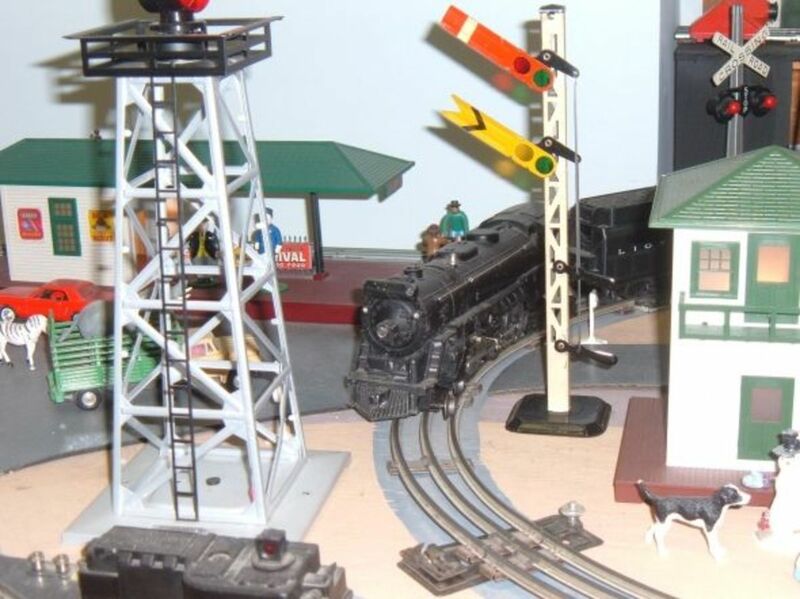 Visit a local hobby shop or retailer that specializes in Lionel and O-gauge trains, and talk with a knowledgeable staff person. Most starter train sets include a locomotive, a few cars, a transformer and enough track sections to set up a simple oval. You can have trains up and running within a few minutes.Add more track sections and switches to create sidings, crossings, loops and other features to increase the operating interest, and you are on your way to a functional toy train layout. As with any collectible, the condition of the item is a primary factoring determining its value, and Lionel toy trains are no exception. Made for play, running Lionel trains often led to rubs and cracks. Pieces were broken and lost over time. The toy trains were packed away for years, wrapped in newspaper and left to rust in damp basements or in overheated attics that warped the plastic shells. Forgotten batteries corroded and leaked, damaging the electrical connections. In some ways, it is a miracle that so many of the classic Lionel trains and accessories actually lasted into the present. To help collectors determine the condition of their trains, the Train Collector's Association developed a list of grading standards, and these are include below. The TCA grading standards help collectors with common descriptions when buying and selling trains. Trains in the best condition generally command the highest prices, and are sought highly by collectors and dealers. Always buy trains in the best condition that you can find. My Lionel O Scale Train Layout - A Toy Train Layout is Never Finished. The Fun is in the Journey. 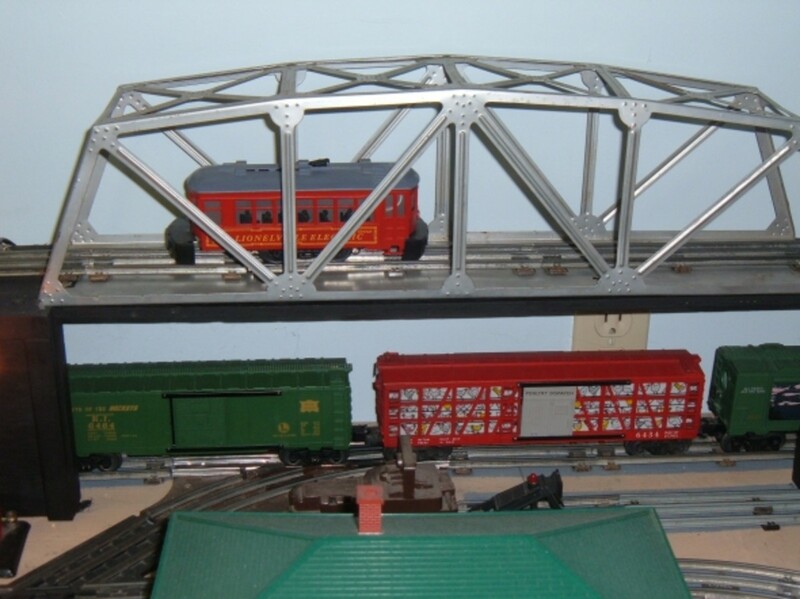 Buy Lionel Toy Trains in the Best Condition that You Can Find! C-10 Mint: all original; unused and unblemished. C-9 Factory New: all original; unused; may evidence factory rubs and the slightest evidence of handling, shipping and having been test run at the factory. C-8 Like New: Complete all original: no rust, no missing parts; may show effects of being on display and/or age;may have been run. C-7 Excellent: all original: minute scratches and paint nicks; no rust and no missing parts; no distortion of component parts. C-6 Very Good: Minor scratches and paint nicks, minor spots of surface rust, free of dents. May have minor parts replaced. C-5 Good: Sign of play wear: scratches and minor paintloss. Small dents, minor surface rust. Evidence of heavy use. C-4 Fair: Scratched, moderate paint loss, dented missing parts, surface rust. Evidence of heavy use. C-3 Poor: Requires major body repair: Heavily scratched, major rust and missing parts. 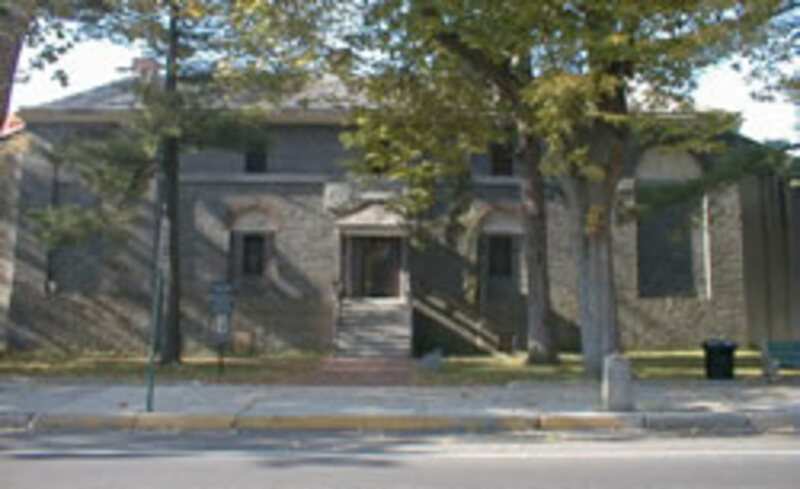 Restoration candidate. C-1 Junk: Parts value only. This compact and comprehensive guide provides you with 2,000+ accurate and easily accessible listings, with secondary market values for the legendary Lionel trains cherished by a majority of today's toy train collectors, including Baby Boomer-age collectors reliving the joys of their youth. This handy and numerically organized train book contains an impressive collection of more than 1,000+ color photos of various models, including steam, diesel and electric locomotives, motorized units, flatcars, tank and vat cars, accessories and catalog sets.Numerically arranged listings allow for rapid reference of prices during auctions. Trains are fun. For ALL kids... big and small. Great lens. 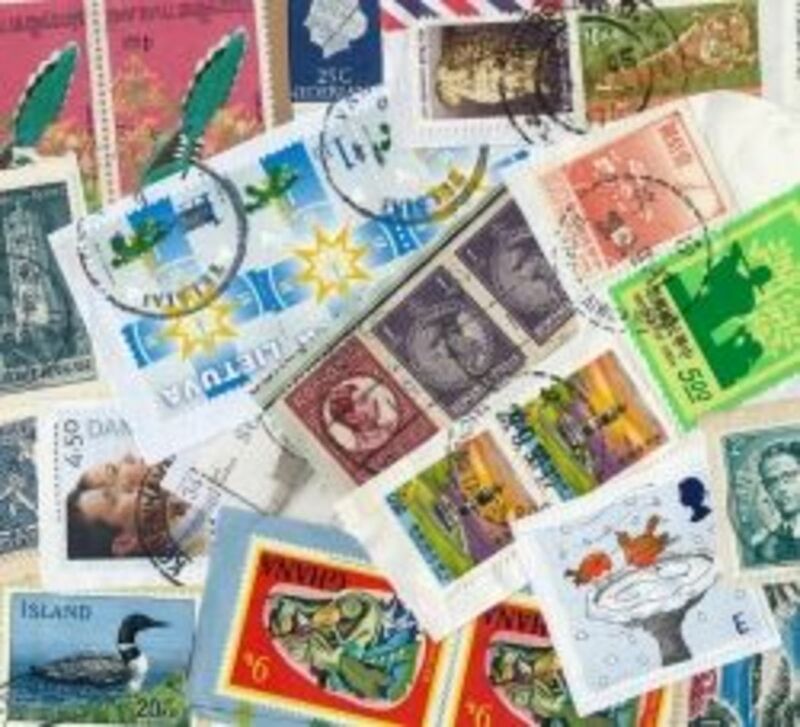 My dad used to collect these, takes me back. Thanks for great presentations. This is so full of ideas for those starting a Lionel train collection and I was just noticing the TCA grading scale you've included...you do take care of the details! 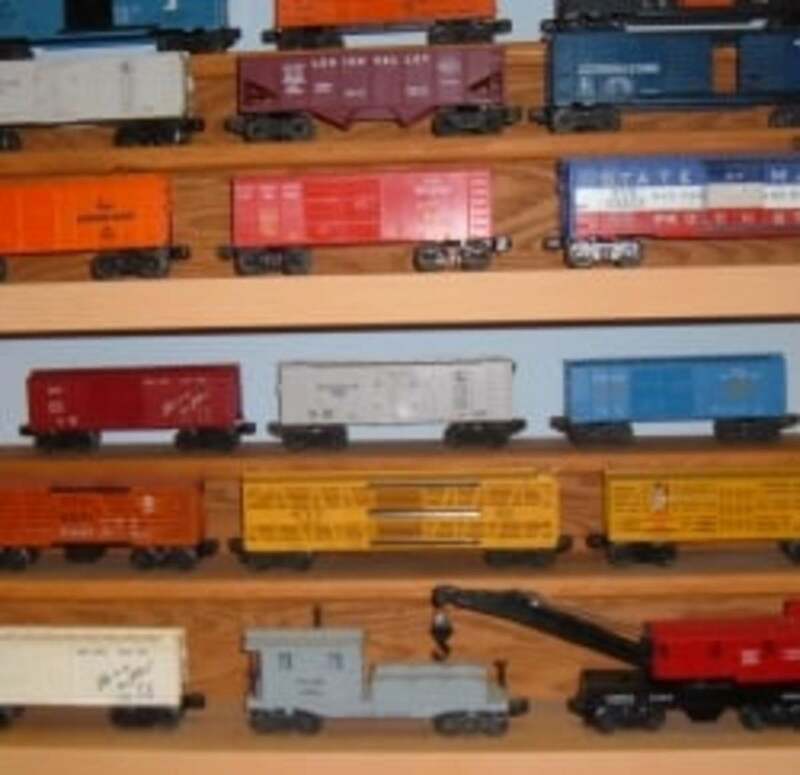 My Dad collected trains. He still has the tracks on a large plywood in the garage, but he no longer plays with them. They were a fun hobby when he was active..When I was a child, .I used to get to paint the little people that came with the kits. Very nice lens. Trains have always been a fascinating toy for children and adults. My ex husband had one that run around our basement and he spent hours building towns, mountains, and other scenic areas for his trains to roll through. The train sets truly are a great hobby for young and old alike. Come from a family of railroaders in real life and hobby. Had fun with my kids and grand kids playing with trains. 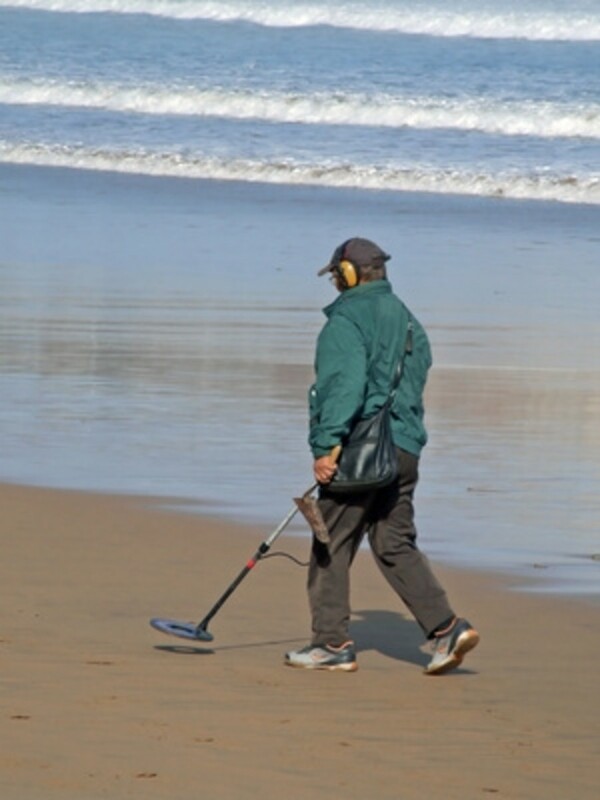 This is a really cool hobby to have. It inspires me to do more with things I have interest in in my own life..instead of dabbling..or at least taking what I dabble in and putting it into a lense to share with others. Thanks to you for all the work I know it took to put this lense together. This looks like fun! If I wasn't so busy with other things, I'd love to collect these trains. My husband inherited his father's train set. 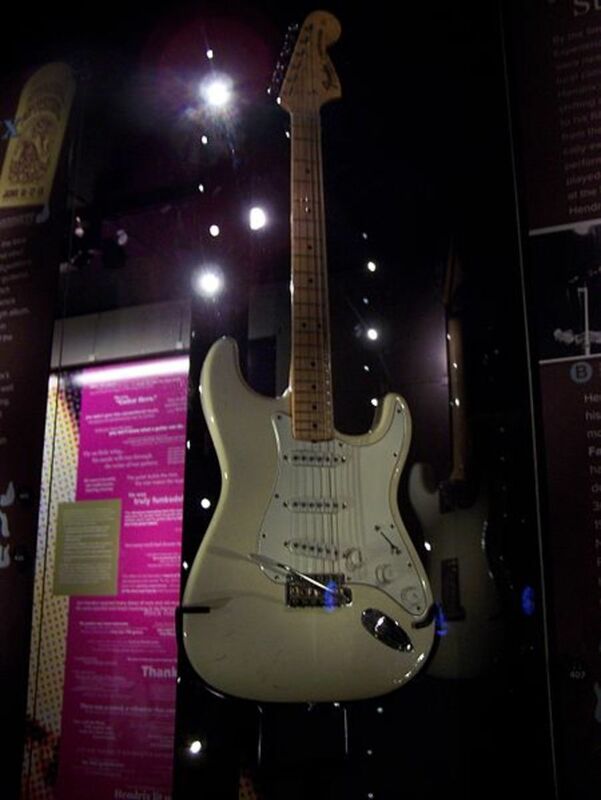 His father bought it for him when Will was a little boy but never got around to giving it to him. In one home they lived in, the basement became a train station with round-house, country sets, mountains, bridges, etc. I don't know what Will intends to do with it. Maybe your lens will inspire him .. I'll share it with him. I would love to have a starter train set. My brother got the train gifts when we were kids. Girls like trains, too! Enjoyed seeing all of the options here. Thank you! I enjoyed the read about model trains, I always like to someone use their personal collection on a lens. @squidoopets: Good idea. Thank you for the suggestion, and for visiting! @Diane Cass: There's something intriguing about watching a toy train circle a Christmas tree that can make anyone feel like a kid again. Thank you for visiting! I don't collect trains but we are collectors in our home, would be great to add that option in your poll :) thanks for the fun lens and introduction to Lionel Trains! Wonderful lens! I absolutely LOVE Lionel trains. I purchase a pre-war train with whistling coal car and smoking smokestack about 11 years ago. We put it up under the Christmas tree every year. 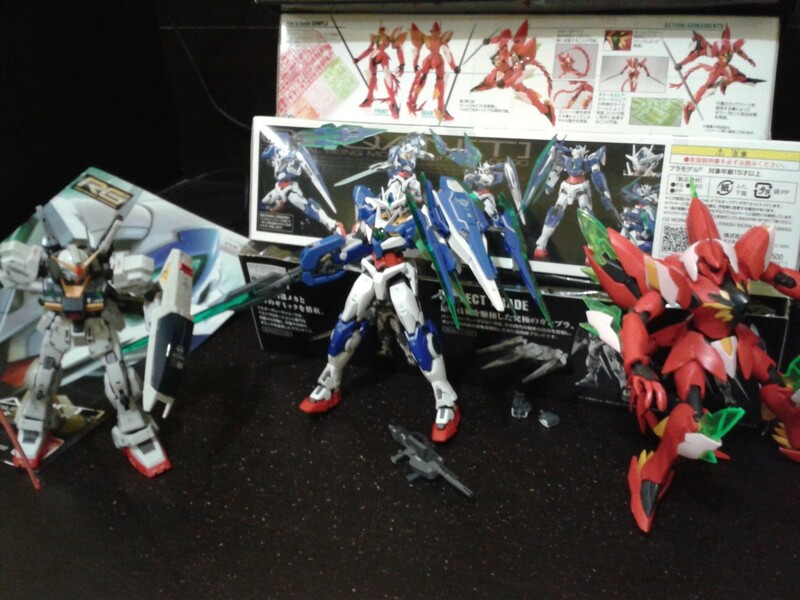 It always makes me feel like a kid again. Nice presentation and excellent help for the collector of Lionel. I never had a toy train and feel deprived because of it. I always thought toy trains were cool. Great lens!! I have seen these in some friends house and they are just lovely. Very good info here. I had a steam locomotive Lionel set when I was a child, but my folks passed it on to my cousins much to my dismay. Very informative and well written lens. 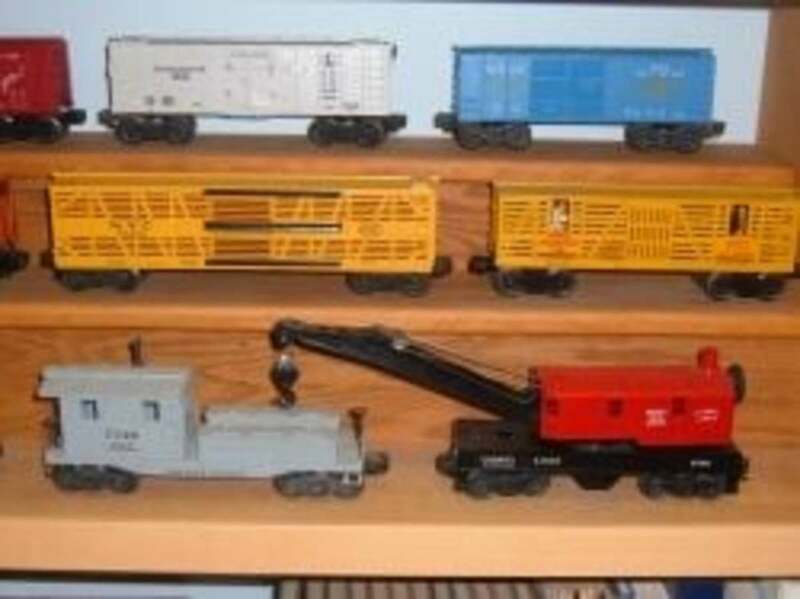 Anyone wanting to start a Lionel train collection would do well to start right here! As always, you provide excellent information and advice....and, what fun. It is sad the the big Lionel train displays aren't often seen these day but they do stop us in our tracks when we see one.